Sirens on! 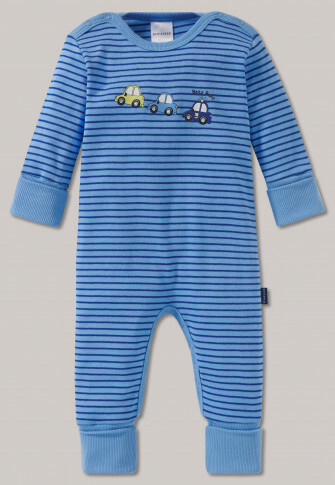 In this long baby suit, aspiring police officers can go off in wild pursuit! 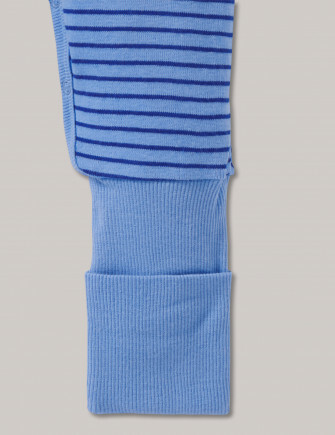 Soft fine rib made of 100% cotton and the practical Vario cuffs make this one-piece piece wonderfully comfortable rounded off visually with the fine blue striped pattern! On the chest, two small cars and a police car put a smile on their faces and have plenty of space for exciting stories! Heavenly comfortable, sugar sweet and in the best SCHIESSER quality!